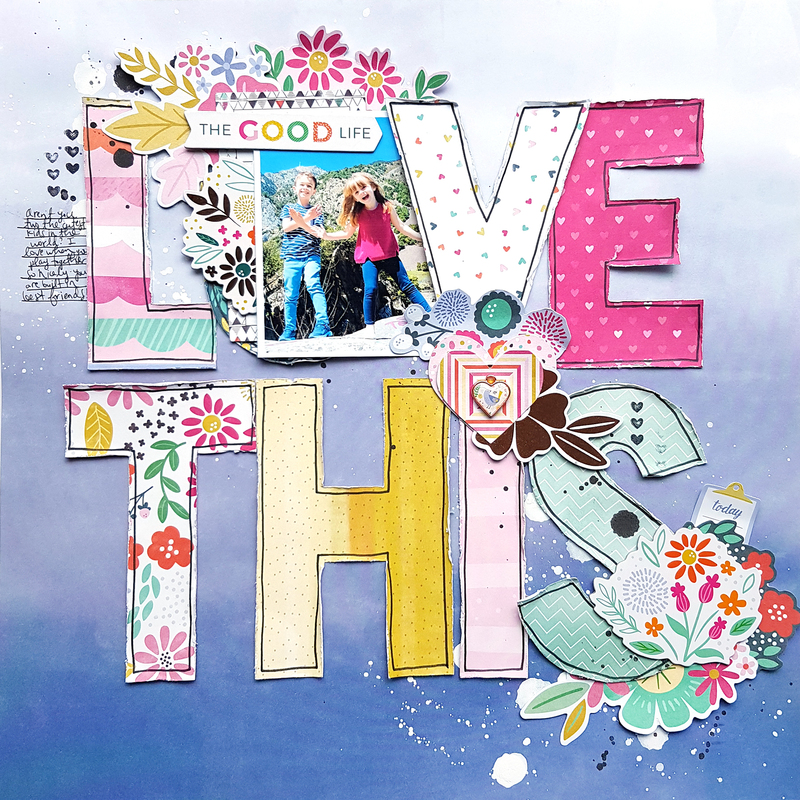 Here is another one of the layouts from my Paige's Pages 12 class at Big Picture Classes! DESCRIPTION: I made another version of this layout using Take Me Away so this time I used Oh My Heart! And I loveeeeeeeeee this!!!! LOVING that photo and the big title!!!!!!!!!!!!!!! !